Every outcome from the creation of anyone’s intellect can and must be protected under any circumstance, from being stolen through enforcement. Every outcome from the creation of anyone’s intellect can and must be protected under any circumstance, from being stolen through enforcement. It is important for every business or any organization to have property rights, in order to protect and safeguard their services and products. Through the years, technology has evolved and developed, particularly in replicating and duplicating of products has become easier, which in return has led to the loss of quality and income. Thus, being such an important issue, we have specialized in offering intellectual lawful guidelines in helping our clients protect their assets. 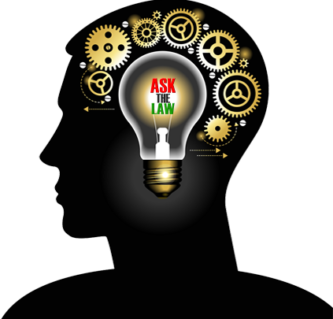 We have legal advisors who help our clienteles during their search phase of artwork, craftsmanship, getting them enlisted with specialists by drafting proposals and applications for licenses, copyrights, translations, counterfeits, restrictions and requests, interpretations, setting up IP contracts for domains, and programming so that they can get the maximum out of their scholarly understandings. As a law firm we understand the importance of safeguarding your intellectual property and thus our team of professional lawyers makes sure that, when our clients work with us they are protected from all sorts of thefts. Our main aim is to work with our customers to help them develop a full patent portfolio, representing clients who are requesting IP rights and worldwide brands with global and international outreach in outlining IP related contracts, which consist of co-existence agreements, IP deals, authorizing, disclaimers, licensing, non-disclosure agreements. We have various lawyers, who are based in Dubai, and we can guarantee that they can advise our clients on any issues or problems regarding, governance, performance, administrations, acquiring restraint and limitation orders from the court, and involving the government to help them terminate the forged or fabricated products. Apart from everything our lawyers can also assist their clients in investigating any possible breach or violation of property. We also cater our legal services to other individuals and corporate bodies in the enforcement of rights, resolving electronic trademark matters, arranging franchise, unfair completion. This way we not only gain the trust of our client but in the process, our firm also surpasses its reputation of a professional law entity.